Legal maneuvering to block President Obama’s executive actions on immigration is keeping up to 4 million undocumented immigrants in limbo and, with the U.S. election campaign gaining momentum, dims prospects for them to participate in society more fully and openly anytime soon. Texas and 25 other states filed suit in February hoping to overturn Obama’s expansion of his 2012 Deferred Action for Childhood Arrivals (DACA) and creation of Deferred Action for Parents of Americans and Lawful Permanent Residents (DAPA). A panel of three judges for the 5th Circuit Court of Appeals (New Orleans), one of the most conservative courts in the country, heard the case in July, but the case is still pending – and the court’s temporary injunction remains in place. Observers call their behavior judicial activism because the panel has deliberately eschewed its normal practice of 60-day decisions in order to prevent a rapid appeal by the Obama administration from reaching the Supreme Court during the Court’s current term. The deadline for appeals to the Supreme Court was October 23. The delay for President Obama’s executive actions to take effect is just one of many lengthy waits individuals, both with and without legal status, experience while caught up in the U.S. immigration system. Wait times for visa applicants can extend into the double digits – more than 20 years for family-sponsored visas for Filipinos, for example. Not only are the U.S. Customs and Immigration Services (USCIS) and the State Department, which are primarily responsible for visa processing, backed up; the Executive Office for Immigration Review (EOIR), the nation’s immigration court system, is experiencing multi-year delays as well. 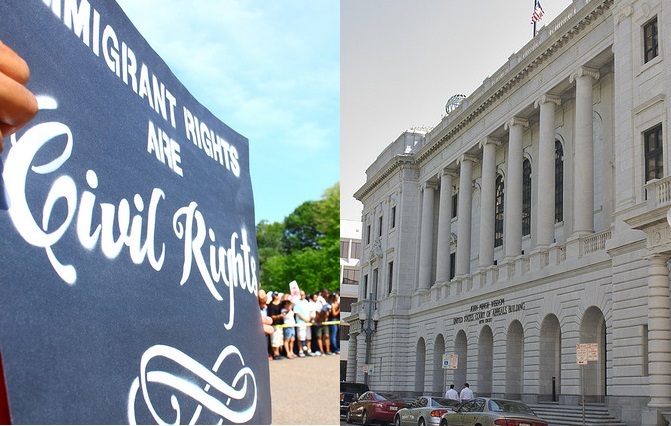 Fifty-nine immigration courts handle an average of 300,000-400,000 cases per year. Detained immigrants spend months in detention waiting for hearing continuances and final hearings, while non-detained immigrants spend years awaiting their final case outcomes. These individuals are forced to put their lives on hold, not sure if they will be allowed to stay or forced to leave, many unable to obtain work permits or driver’s licenses. The expansion of DACA and creation of DAPA would alleviate some of the tension on America’s overburdened immigration system while individuals around the country and the world await meaningful and comprehensive immigration reform. In the meantime, agencies managing U.S. immigration have little incentive and too few resources to speed up processing. Like millions of immigrants, they are simply biding time. * Maya Barak is PhD candidate at American University’s School of Public Affairs specializing in Justice, Law and Criminology.